Serafino (Nino) Cioppa is an Italian Master Tailor with fifty plus years crafting garments for discriminating men and women in Toronto. Considered one of the best Italian tailors in Toronto, Nino’s expert craftsmanship and attention to detail are second-to-none. All suits, sports jackets, pants, and vests are hand-made on premise. We believe in the old values. Those heritage values are taught through the tailoring apprenticeship of Naples: quality, fine attention to details, and total customer service. Experience craftsmanship yourself by investing your time through visiting our location – have an espresso – and begin your relationship with Moda by Nino. Video explaining the tailoring process with Nino Cioppa coming soon. 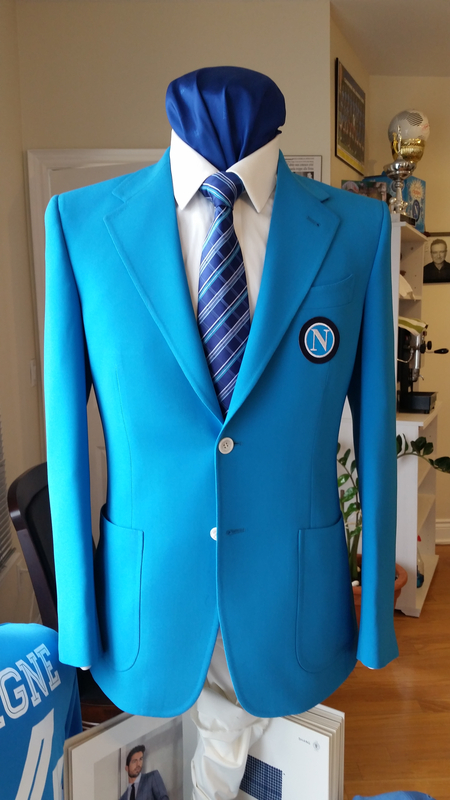 Tribute to my favourite football team NAPOLI 'S.S.C.